One final indulgence for my blog’s tenth birthday: a list of ten lessons I’ve learned from ten years of blogging. Figure out why you’re blogging. I started blogging ten years ago because writing helps me think and I needed some public pressure to think through my lessons at the end of the school day. Nowadays I blog because blogging makes me curiouser and wiser. I don’t want to say there are bad reasons to blog, but if you’re blogging first and foremost for fame, fortune, or readers, you’re going to feel very fried very quickly. Find your cohort. Then encourage each other relentlessly. Ten years ago, my cohort probably included more administrators and English teachers than math teachers. The pool of edubloggers was so small we all followed each other, encouraged each other, and griped at each other. Find people who started blogging around the same time you did. For many people, your blogging and tweeting cohort will be the faculty lounge you’ve always needed and never had. Be careful with auto-generated #content. For a long time people used plugins that would algorithmically attach a stock photo or a set of related links to your posts. Those have fallen somewhat out of favor, which is a positive development. If your goal for blogging is to develop your ideas or create a community, there just aren’t many shortcuts. Do the work. Be the blogger you’d want to read. Figure out what you like about writers you read. As you work to develop your own style and voice, borrow theirs for awhile. Me, I like short sentences and clippy paragraphs. I like a mix of confidence and humility – someone who has strong opinions but holds them loosely. I like people who don’t take themselves too seriously. I try to write a blog I’d like to read. Be nice. No nicer. No, dude, you think you’re being nice but you’re still really crabby. It took me awhile to realize there were, like, actual people behind the screen names and web addresses. I still struggle to criticize ideas online in ways that don’t bum people out. Related: punch up or don’t punch at all. Figure out what blogging measures in your life. If you find yourself not blogging after a good run of blogging, that may just mean you don’t have the time for it. But in my case I figured out that it meant I wasn’t learning enough. Lately it means I need to get into a classroom or I need to do some math. That’s valuable self-knowledge. Tend your comments. I delete spam quickly. I delete abusive comments. Occasionally, I email people privately to let them know they need to be nicer. If someone has a typo or an unclosed HTML tag or a link that didn’t get formatted properly, I’ll often fix those. Delete comments that don’t add value or propel conversation – even complimentary ones! If someone posts something positive but unconstructive like “Agreed!” I’ll often email a quick thanks and then delete the comment. People will rise to whatever bar you set, so set a high one. Learn from your readers. A healthy comments section is like a really smart extra brain you carry around all the time and can consult whenever you want. Also, when people care about you and know what you care about, they’ll send you articles and ideas and links they think will interest you. That’s crazy. It’s better than any existing recommendation engine. The brain you carry around with you spontaneously generates knowledge for the brain you keep in your head. Turn learning into more learning. If you do all of this and you do it regularly, my guess is you’re going to get offered some interesting opportunities. For me, I was offered chances to study with great researchers, to design curriculum with great designers, and to work with great teachers all around the world. I went into all of those opportunities thinking, “What will I find here that I can share with the folks back at the blog?” Again, not for fame, fortune, or readers. But because I knew you’d all make me curious and wiser. Get a Blog Already Okay? The advice I’d give others about comments is simply to ask for comments when you want them. The way blogs work in 2016, you probably don’t have very many people reading you via RSS and not so many people regularly checking your comments sections. You are probably connected to other educators on social media, though these people might not know that you want feedback on your ideas. If you invite feedback, though, you’ll get more of it. That’s my advice. My blog turned ten years old this month so you’ll have to allow me a couple of indulgences. Second, rather than reflect on ten years of my posts, I wanted to reflect on ten years of your comments. Over the last ten years, 4,600 people have written 20,000 comments on this blog, spanning two million words, the very first of which was written by Chris Lehmann. My goal in blogging is to become curiouser and wiser with every post. Some of that happens in the post itself – through research, analysis, writing, etc – but so much of it happens in the comments. To offer one current example, I posted Cathy Yenca’s method for teaching zero exponents last week. Forty comments later, my commenters offered two more methods for teaching them and helped me see how all three methods are related. I’m curiouser and wiser now than I was forty comments ago. That happened because of all of you and I wanted to thank a few you of you personally. For example, here are the ten people who commented most often in every year that I’ve blogged. And these are the ten people whose comments have helped shape my work for the longest span of time – from their first comment to their last. In 2011, I started to understand the gift of an active comments section, and how that gift needed encouragement and tending. So I began to add particularly helpful comments to the body of the post itself in a “Featured Comments” section. I made sure my commenters knew they had been promoted, hoping the endorsement would encourage them to continue bringing that kind of value. These are the twenty people whose comments have been featured two or more times since 2011. I sent a personal note of thanks to everybody mentioned in this post. Each person has made a significant donation of time, words, and insight to the project of making me curiouser and wiser. Whenever people ask me how I got wherever it is I am right now, I always tell them about you, about how my ideas and thinking developed twice as fast as they had any right to. And I attribute that difference entirely to your time, words, and insight. Wherever it is I’m going, I intend to get there exactly the same way. 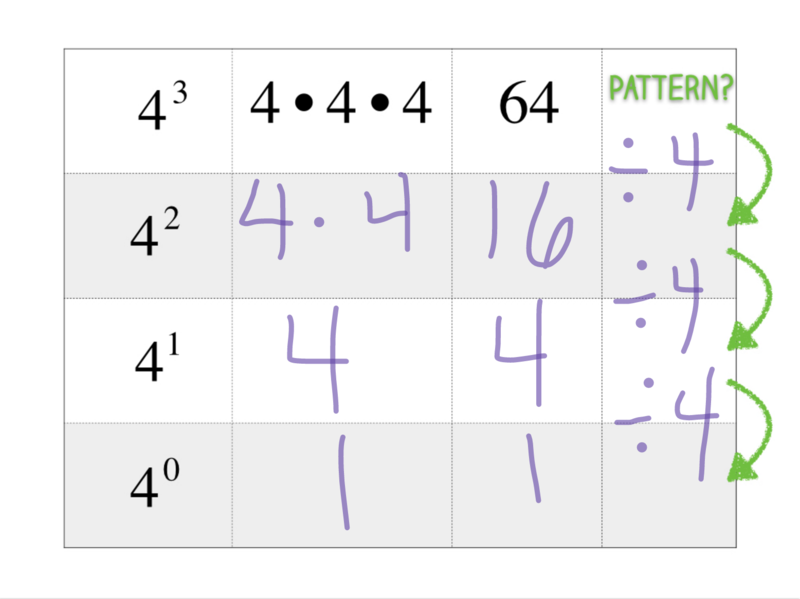 Cross-posted from the Desmos blog. I’m happy enough with this post to re-broadcast it here. The Desmos blog doesn’t have comments, also, which makes this a better forum for you to tell me if I’m wrong. We’re proud to debut our free Classroom Conversation Toolset, which has been the labor of our last three months. You can pause your students’ work. You can anonymize your students’ names. You can restrict the pace of your students through the activity. We believe there are productive and counterproductive ways to use these tools, so let us explain why we built them. First, the edtech community is extremely excited about personalized learning – students learning at their own pace, uninhibited by their teacher or classmates. Our Activity Builder shares some of that enthusiasm but not all. Until last week, students could click through an activity from the first screen to the last, inhibited by nothing and nobody. But the cost of personalized learning is often a silent classroom. In the worst-case scenario, you’ll walk into a classroom and see students wearing headphones, plugged into computers, watching videos or clicking multiple choice questions with just enough interest to keep their eyes open. But even when the activities are more interesting and cognitively demanding than video-watching and multiple choice question-clicking, there is still an important cost. You lose collective effervescence. An illustrative anecdote. We were testing these features in classes last week. We watched a teacher – Lieva Whitbeck in San Francisco – elicit a manic cheer from a class of ninth-graders simply by revealing the graph of a line. She brought her class together and asked them to predict what they’d see when she turned on the graph. They buzzed for a moment together, predicted a line, and then she gave the crowd what they came for. She brought them together. She brought back the kids who were a bit ahead and she brought forward the kids who were a bit behind. She de-personalized the learning so she could socialize it. Because arguments are best with other people. Because the negotiation of ideas is most effective when you’re negotiating with somebody. And because collective effervescence is impossible to experience alone. So these tools could very easily have been called our Classroom Management Toolset. They are useful for managing a class, for pausing the work so you can issue a new prompt or so you can redirect your class. But we didn’t build them for those purposes. We built them to restore what we feel the personalized-learning moment has missed. We built them for conversation and collective effervescence. What Should Math Teachers Do When They Don’t Know the Math? You don’t transition from a novice teacher to an expert in a day. The transition isn’t obvious and it isn’t stable. You become an expert at certain aspects of teaching before others and some days you regress. But one day you wake up and you realize that certain problems of practice just aren’t consistent problems anymore. What do we do when it becomes clear, in front of a class, that we don’t understand the math like we thought? Here are my ten favorite responses. If you have a response that isn’t represented here, please add it to the comments. @vlmadden @ddmeyer We want to dazzle. To punt brilliantly. To think on our feet. But the dazzling move is to make public our not-knowing. @ddmeyer "I have to think about this some more. I'll get back to with what I discovered you tomorrow." Urge Ss to do the same. @ddmeyer Admit it and learn from it with your Ss. Teach taking risks by example! @ddmeyer Be honest in front of your students & model the power of "I don't know but I want to know". Someone in the room needs to hear that.
.@ddmeyer Be human. Apply good problem solving skills. Model what to do when challenged. If stumped, research rinse repeat. @ddmeyer Think. Out loud and on the spot. Sometimes Ss ask Qs that perplex me. I congratulate them and let them hear my thought process. @ddmeyer Celebrate!!!! The truth is revealed! @ddmeyer coach in room? take a T timeout do discuss in FRONT of Ss! so powerful for Ss to see Ts don't have all the answers. BTW. David Coffey has answered the same question about college mathematics, where students are sometimes very unforgiving of mathematical errors and lapses. The most lasting memory from my Modern Algebra I class: It was a Monday, and the instructor was about 20 minutes into his lecture when he got stuck in the middle of a proof. He stopped and stared at the board, then down at his notes, then back at the board, then back at his notes. The class paused their notetaking as the instructor (who was well-respected and always prepared) mumbled and tried to sort things out. After an awkward few moments, he said, “I know there’s something wrong here and I can’t figure it out, and my notes aren’t helping. We really can’t go on before we’ve proven this, so you are all dismissed and we’ll start here again on Wednesday.” We left, returned two days later, and the instructor enthusiastically explained what had caused the problem, how he worked past it, and we moved on. The episode might not have represented great pedagogy, but it was a refreshing example of humility. Students can find answers or I find answers but either way, it reminds students (and me) that I don’t know it all and I don’t have to. I hated making mistakes in front of students when i first started teaching. I became conformable with not appearing perfect when my classroom culture transitioned from being myself as the expert and students as the learners to all of us learning from each other. I’m teaching a small, highly gifted class this year. One of the things we’ve started doing is solving 538’s Riddler each Friday. For the first couple of weeks, they always looked to me for an answer. It took them a while to realize that I didn’t know it either. Today, while we were doing it, they treated me more as a colleague than as an authority. They’d propose ideas, I’d ask them to justify the ideas, we’d try them out, and decide whether it got us closer to the final answer or not. It’s really fun modeling my thinking process, and narrating it at the same time. I’ve started identifying when I have interesting things to look at, aha experiences, and most importantly how I test out my suppositions rather than just assuming that they’re correct. Students who catch my mistakes at the board receive a prize: a mechanical pencil. They become sought-after tokens by the end of the year, and keep students following my reasoning as we work through complex problems! In my middle school classroom, I also use 24, WODB, and Set as daily warm ups. Because I don’t “automatically” know the solutions, when students don’t find them, we are able to reason them out together. They observe me trying things out and persevering, and are often inspired to “beat” me which keeps the engagement level high. They all become more comfortable risk takers over time. Maria Rose offers similar thoughts to Diane’s, right down to the activities they use. There is a certain amount of excitement in not knowing. I try to translate that to the students. We wouldn’t be in this game if we didn’t want to know an answer to a question but had no idea where to begin! That’s the beauty of both mathematics and of teaching. Share that enthusiasm for the chase with them. Some questions are unknown to the teacher but easily answered. Others are not. Try your best to answer them, but more than that, try to engage them with your excitement for discovering the unknown. 2016 Oct 18. An excellent companion post from Dan Teague: Demonstrating Competence by Making Mistakes. Once you have your non-zero number or variable picked out, put it to the zero power. Now no matter what number or variable you picked, once you put it to the zero power, I know what the answer is. One. How do I know this? Well in math, if we put any non-zero number or variable to the zero power it always equals one. No matter what. One approach will lead students to understand that math is a fragile set of rules that have to be transmitted and validated by adults. The other will help students realize that these rules are strong and flexible, and exist to make math internally coherent, with or without any adults around. BTW. This is as good a time as any to re-mention Nix the Tricks, the MTBOS’s collection of meaningless math tricks and great strategies for teaching those concepts with meaning instead. BTW. Check out Cathy Yenca’s own post on the comparison. BTW. Check out the comments on that YouTube video. Interesting, right? What do we do with that? I wrote a story about this exact moment in my book. Cliffs notes version: 8th grade. Mr. Davis told us the rule a^0=1. I questioned why. “Because that’s the rule.” I said, “But why?” Stern voice now. “Because that’s what’s I just told you.” The first boy I’d ever kissed said, “Give it up T! It’s in the book, that’s why!” Everybody laughed. Me too, on the outside. Not on the inside. On the inside I was angry and frustrated and humiliated. If I write my math autobiography, this moment goes in it. It’s one of the moments math lost me. By the way, my favorite way to see the pattern Cathy shows here is with Cuisinaire rods. You literally go from cubes to squares to rods to single unit squares. It’s this amazing moment to see one as the fundamental unit. But I didn’t get to see that in 8th grade. I didn’t see that until my late 30s. The saddest part? Most kids don’t try again after they’re burned. They never come back. The not-quite-saddest-part-but-still-sad-part? I doubt Mr. Davis ever learned why either. Something that has been effective for me (that I mention in the video above) is to really emphasize that 1 is the origin and invisible starting point of all multiplication problems. There’s a truly great old lesson on exponentiation that I believe comes from Project SEED, that has been used with amazing success in hundreds of elementary classrooms. Math’s saving grace, though, is that it can make us feel smart for another reason: because we’ve mastered an ancient, powerful craft. Because we’ve laid down rails of logic, and guided a train of thought smoothly to its destination. Because we’re masters—not over our peers, but over the deep patterns of the universe itself.